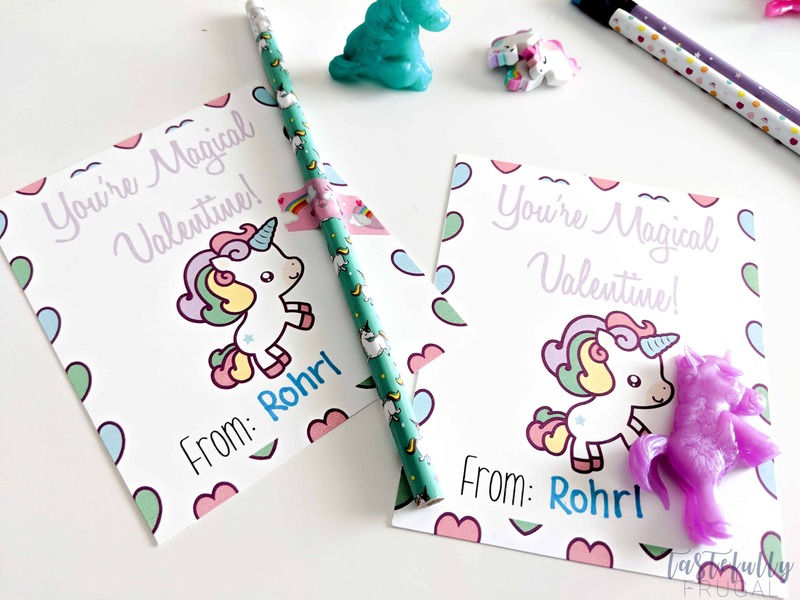 Print these magical valentine cards then stop by the Target Dollar Spot to pick up cute unicorn accessories to attach for a fun valentine idea on the cheap! As a kid I LOVED unicorns! I remember I would go the library with my friend and would check out any and all books I could find on them. Yeah, I was a book worm too. So when the unicorn craze started I was all for it! I’m also all for giving non candy valentines. 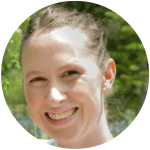 I know that the kids are going to be getting more than enough sugar filled treats from the rest of the class; why not give them something else?! When I was at Target a few weeks ago I found all these cute unicorn things. 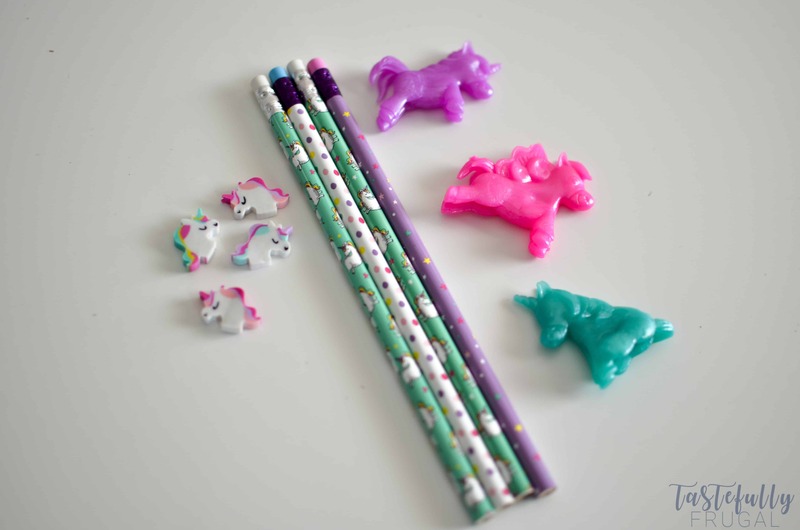 Pencils, erasers and stretchy unicorns oh my! And p.s. those unicorns smell really good, like citrus-ey. My husband walked in as I was getting these ready and he was like “why are you sniffing that unicorn? !” It was a little bit of an awkward moment but even he agreed, they do smell good! 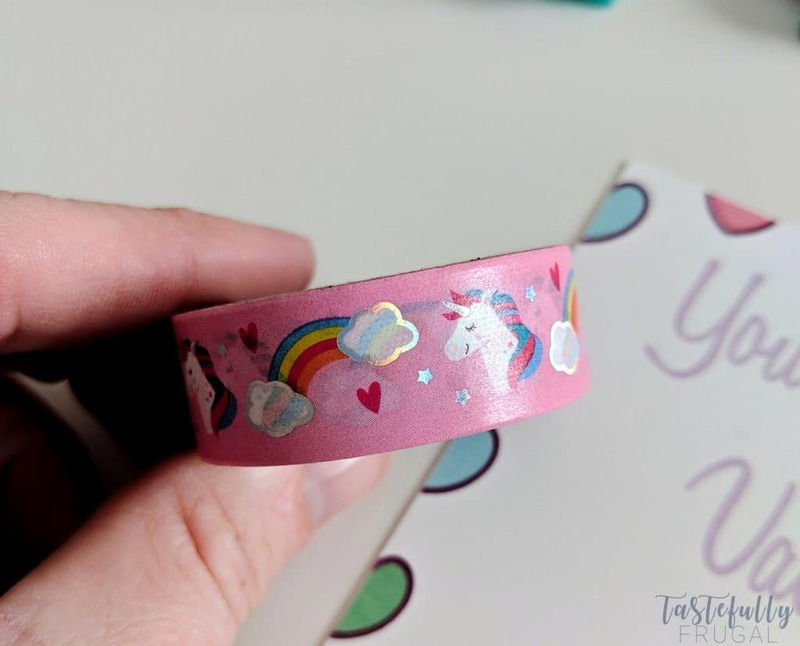 I also found this super cute unicorn washi tape at Michael’s! It was on sale and I just couldn’t pass it up because, come on, unicorns! Plus there were other cute designs too. If you ever need or want washi tape, head into Michael’s. Seriously their selection is awesome and there is almost always a sale or coupon you can use. 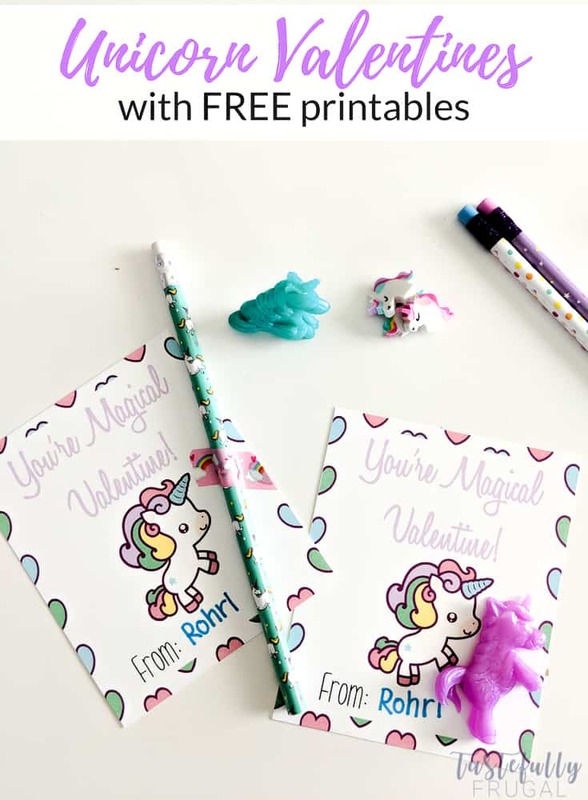 So if you love unicorns as much as I do, or if your kids do, print your FREE You’re Magical Valentine cards here, get some unicorn washi tape and attach a pencil or eraser to the card. 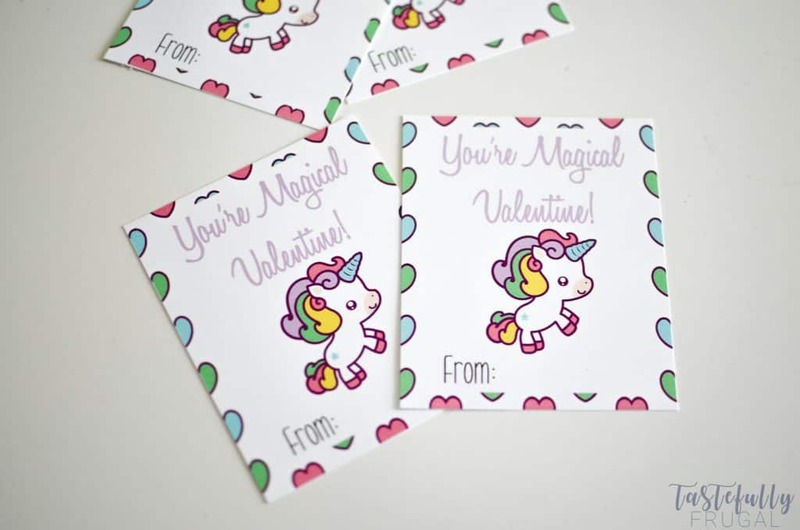 If you do the stretchy unicorns they are sticky and stick right to the valentine! If you want more non-food valentine ideas tune in Friday for FIVE valentine ideas you can do from the dollar store all with free printable tags. See you then!